Carnival is represented on a horse or a donkey followed by a procession of masks and musicians. In Guardilafiera there are a bakery, a pharmacy, a doctor, grocery store, school. 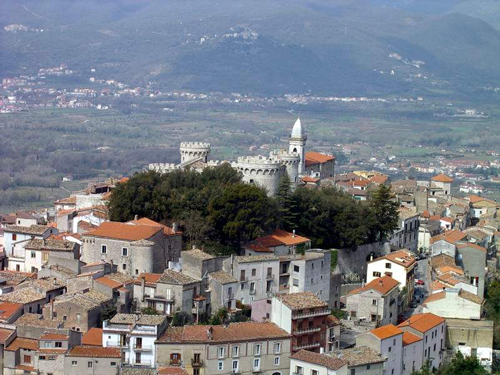 Isernia is a city situated on a rocky crest rising from 350 m to 475 m between the Carpino and the Sordo rivers, the plan of Isernia still reflects the ancient layout of the Roman town, with a central wide street, the cardo maximus, still represented by Corso Marcelli, and side streets at right angles on both sides. 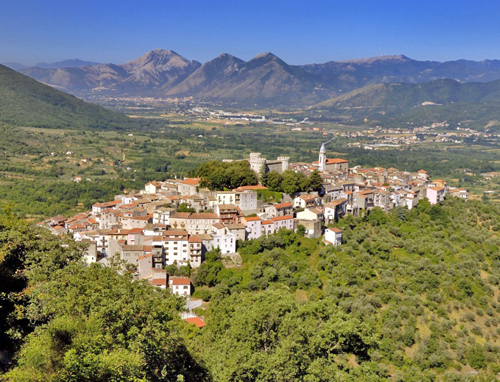 Isernia preserves a large number of archaeological remains. The historical center still keeps intact the spare map structure of the Roman cities. 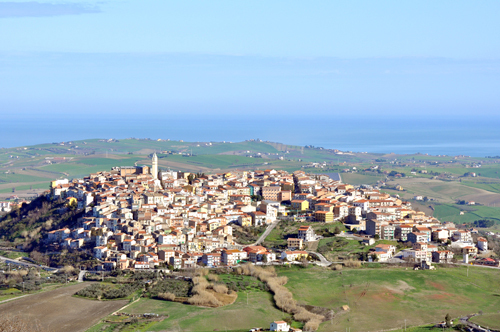 Montenero di Bisaccia is a typical hill town overlooking the sea. 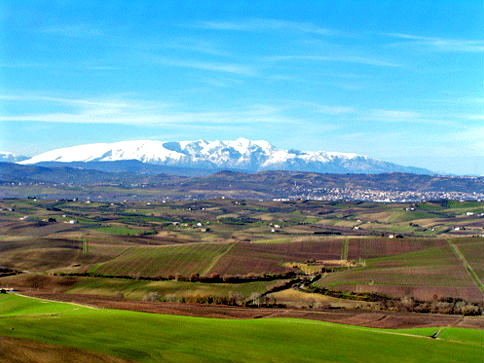 The climate is characterized by mild winters, with sporadic and low snowfall, and warm, dry summers. Nationally renowned is the Ventricina of Montenero, porks with pork properly treated and cured with traditional methods. The most important religious festivals are: the Madonna di Bisaccia (May 16), St. Matthew (Sept. 21) and St. Paul the Apostle (June 29). Worthy of note, as well as nationally known, is the nativity scene, an event that more than twenty years attracts visitors from throughout the country in the unique setting of sandstone caves. 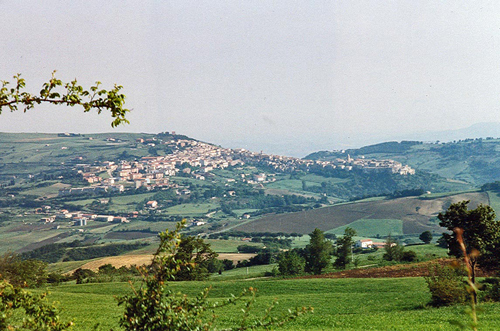 Petacciato is a town of 3,488 inhabitants in the province of Campobasso. 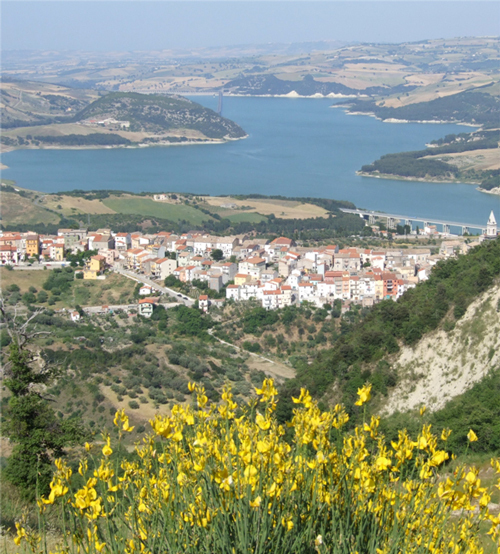 Center of the Adriatic coast, stands on a hill 225 m above sea level. 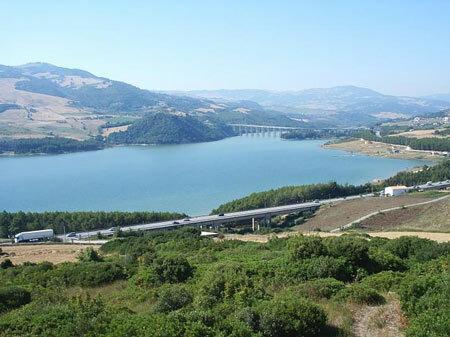 From its dominant position offers a vast and impressive panorama that stretches from the mountains of Maiella to the Gargano promontory, crossing the archipelago of the Tremiti Islands. Its territory is spread over an area of 2,968 hectares. The history of Petacciato is very old but at the same time uncertain because you have a documentation partially dubious about its origin and name. 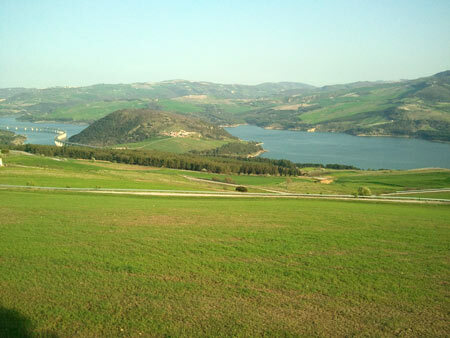 The territory of Petacciato has always been fought over by various peoples and robbers. It suffered the assaults of the Goths (V century), Byzantines (sixth century), the Lombards (VII century). Petacciato in its millennial history, as can be inferred from this brief escursus, we can define a “young”, if one takes into account the fact that it became a municipality only December 30th of 1923, away from Guglionesi. Curiosity: After nearly 60 years in Petacciato was evoked the famous procession of San Martino called by many as the party of the horned. Decreed a great success for the event-based wine and tarallucci throughout the procession route. Many participants, with a bevy of would-branched with his head. 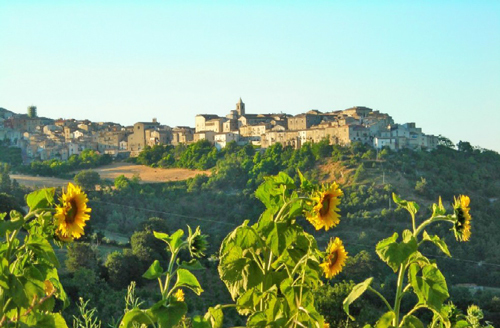 Nestled among the hills of Molise, between 2 rivers, rises the town of Casacalenda with its narrow alleys called “vicoli” connected by flights of stone steps. The impression of a first-time visitor is the surreal one of walking into the village of a nativity scene. 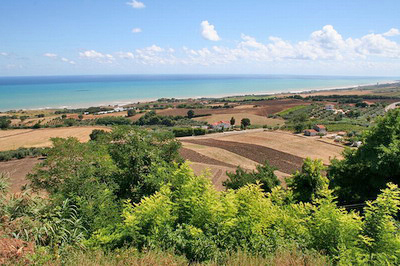 One cannot help but note the cool fresh breezes that gently blow through the village due to its elevated position, facing the Adriatic sea. It quickly becomes clear why a town was built in this location. The writings of Greek historian Polibios (204-120 B.C.) and of Latin writer Pliny the Elder (23-79 AD.) are the earliest records of the existence of Casacalenda. It seems that in 217 B.C., the Carthaginian general Hannibal had set up camp in the area (the now extinct Gerione) due to its strategic location, so as to keep an eye on the enemy, the Roman army, with whom a great battle ensued. 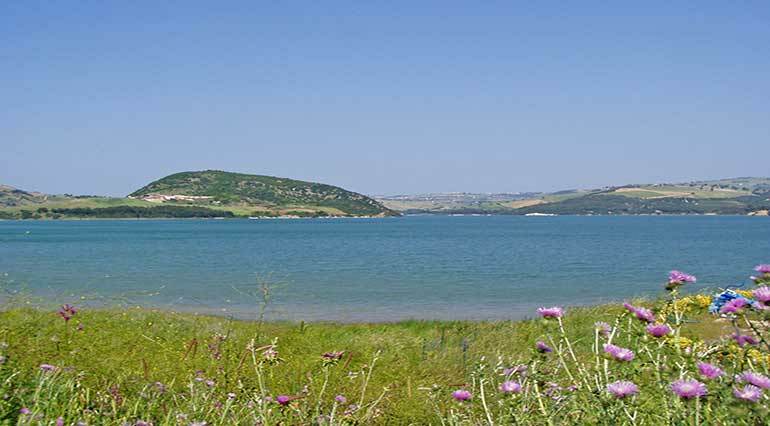 The original name of the town was Kalena which is believed to be of Greek origin meaning “too beautiful”, a description which may be attributed to the town’s privileged location. The name then was transformed to Calenda which may have been derived from the Latin “calendae”, the first day of the month in the Roman calendar when the markets were set up for trade. The ancient coat of arms which shows a “K” can still be seen on the “Porta Capo” the ancient entrance to the walled town. 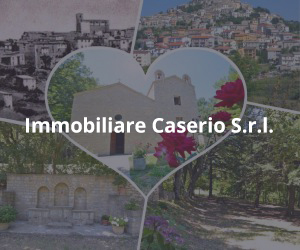 The territory changed hands several times, finally coming under the feudal jurisdiction of the Di Sangro family through marriage. The Di Sangros were feudal lords and Dukes of Casacalenda from 1580-1806 which marked the end of the feudal reign in Italy. The ducal palace still stands in the town’s historical centre. Tragedy hit the village in 1799 when as a consequence of the French revolution Casacalenda was integrated into the Partenopean Republic. Mercenaries sent out by the Duke who resented the liberal government of “Mastrogiurato” (mayor) Domenico De Gennaro, attacked and killed him along with 11 others. The 1800’s marked an era of great growth for the village. A railway system was built to connect it to other major centres. In later years, an interstate road No. 87 which still exists today was designed to cross the heart of the town, bringing to it economic growth. Population and construction were both on the rise. 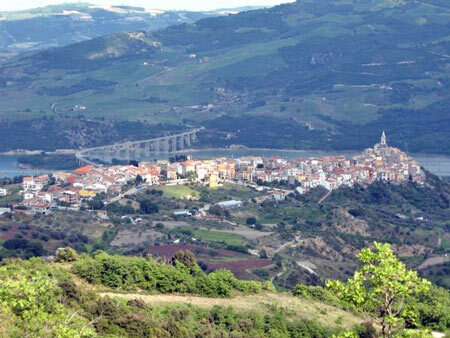 The World Wars instigated an irreversible emigration wave, and today the population of Casacalenda stands at approximately 2,400. In Montreal alone there are 10,000 people of Casacalendese origin who have marked this promised land with their skills, hard labour, resourcefulness, simplicity, strengths and traditions, and who have reason to be proud of their origins.